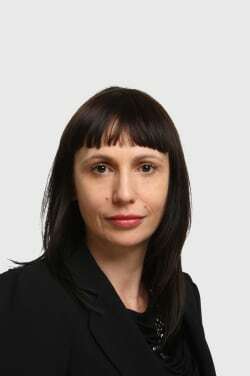 Helena Belina Djalil has extensive experience in competition and corporate matters across various industries. In her professional career, she has worked in the public and private sectors. Upon graduating from University of Ljubljana she began her career as a trainee attorney, moving on to a consultancy firm, where she was the head of the legal department and also advised clients on areas of corporate law, labour law, public procurement, intellectual property law including IT, consumer protection and e-commerce. She spent nearly five years at the Slovenian Competition Agency, where she gained a thorough knowledge and understanding of competition law, policy and proceedings at national and EU level, with a primary focus on assessment of restrictive agreements, abuses of a dominant position and concentrations between undertakings. She joined the Fatur Law Fatur as an associate attorney in 2014. From the beginning of 2016 she is an independent attorney at law and continues to work with Fatur Law Firm as external expert, where she primarily deals with competition and corporate law.